Getting a clear, punchy mix is not just about processing and effects – it starts with setting the right levels at which you track and mix. 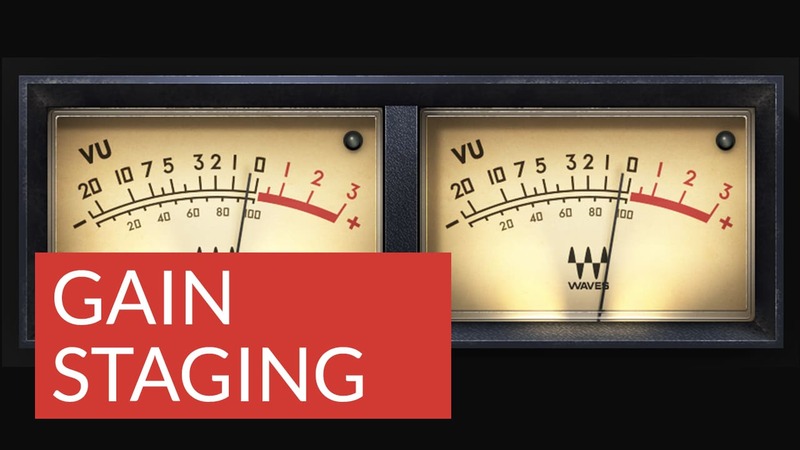 Get tips on how to achieve proper gain staging – including how a good, simple VU meter can help you. Are your mixes weak and lackluster? Wimpy and devoid of energy? Brittle and grainy, with an unpleasant trace of harshness around the edges? No, this isn’t an advert for a multi-vitamin. What we’re talking about is the importance of gain staging – a basic yet crucial audio concept that can have tremendous impact on the quality of your recordings and mixes. The answer lies in the name itself: It’s the process of setting the optimum level (i.e, the best possible “gain”) at every stage in the signal path. Back in the olden days of analog, this involved tweaking voltages with faders or knobs. When you sent a signal into a track of a tape machine, for example, you’d use the channel and buss faders to record the level as hot as possible short of distortion – a necessity due to tape hiss. Similarly, if you sent a signal into a compressor, you’d adjust its input knob to accomplish just the right amount of squashing, and you’d also use the output (“makeup gain”) knob to compensate for any resultant loss in level. In the digital world, of course, you don’t have to worry at all about tape hiss; in fact, there’s really no appreciable “noise floor” at all, especially if you’re working in 24-bit. Nonetheless, if you record at too low a level – or if you send signal to a bus or processor plugin at too low a level – you won’t be taking advantage of the full length of the available digital “word” (in a 24-bit system, this is 24 ones and zeroes). The unused “bits” at the beginning of the word will instead be filled with zeroes, and when that signal is converted to analog at the very end of the chain (that is, just before it reaches your speakers), it will exhibit a distinct lack of clarity and punch – the weak and wimpy sound we referred to at the beginning of this article. In other words, what you have to worry about when recording digitally is leaving yourself enough headroom. Technically, headroom is the amount of available gain before your system overloads. Imagine that you’re sitting in a chair in a room with a six-foot ceiling, with music being played through speakers mounted at the top of the walls. If you happen to be 5'11" tall, when you stand up, the top of your head will fit perfectly under the ceiling and your ears will be exactly at speaker level, allowing you to easily appreciate even the finest subtleties in the music. If you happen to be 5' 9", you’ll still fit under the ceiling, but you won’t hear the music quite as well… and if you’re a really short dude (or dudette), you’re going to have trouble discerning some aspects of the music that’s playing, though you’ll have no problems standing up. This is similar to working with levels that are too low – the sound ends up weak and ill-defined. Now, clearly, then, the taller you are, the better you can hear the music. But what if you’re 6' 1"? You may get to hear the music well when you stand up, but you’re also going to bump your head on the ceiling, which is probably going to cause an appreciable “ouch.” And if you’re 6'2", it’s going to hurt even more when you stand up; in fact, your “ouch” may completely overpower the music, obliterating your ability to hear it in the instant you bang your head – the equivalent to the loud burst of noise that occurs when you severely overload a digital system. That’s headroom in a nutshell. Just as you can only fit so much liquid in a glass before it overflows, and just as you can only fit so much “you” in a room with a low ceiling, you can only fit so much audio in a digital system before the “ouch” of clipping occurs. (When a signal clips, the peaks in the waveforms are cut off abruptly, causing audible distortion). The goal is to get your signals reasonably hot – though not too hot (after all, your mix needs to be able to breathe! ), and without any danger of ever exceeding the finite ceiling. Which meter do I use for basic gain staging? Every DAW, of course, provides a multitude of software controls – usually knobs or faders – that allow you to adjust the input or output gain of your audio signal at every stage of the recording and mixing process. There are also usually equivalent ways of controlling the input to and output from most signal processing plugins. To determine if they are set correctly, simply put the plugin in and out of bypass. The overall level should not change when you do so; if it does, that’s an indication that you need to alter the input and/or output. The problem is that you have no real way of knowing what the optimum values are unless you’re able to “see” the levels (or, more accurately, a representation of the levels) on a meter. Every channel and buss on a DAW will provide such a meter, though it will almost always be a variety known as a “full-scale peak meter.” These show the highest peaks in a signal with one-sample accuracy, measured in a unit called a dBFS (short for “decibels Full Scale”). In theory, interpreting what they are displaying is simple enough: Anything under 0 dBFS is safe, while anything over it will cause clipping. The higher the value above zero, the greater the distortion. In practice, however, it’s not so simple. That’s because the very characteristics that make a full-scale peak meter so attractive – their speed of response and focus on the very loudest moments in the music – don’t necessarily provide all the information you need. What’s actually a lot more helpful is a meter that responds the way you hear. The good news is that these kinds of meters have been around for a very long time – since the 1930s, in fact. They’re called VU meters (VU is short for “volume unit”) and hardware versions have long been built into analog mixing consoles and signal processors. 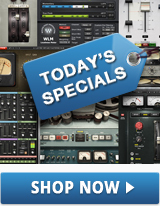 Today, equivalent digital versions are available, including the new Waves VU Meter plugin. Unlike full-scale peak meters, VU meters are slow by design. So is human hearing, which behaves more like a VU meter than a peak-level meter. A VU meter’s relatively slow response time (typically around 300 milliseconds) averages out many of the short peaks, giving you a more realistic expression of the changes in level that are occurring as the music plays. Of course, you need to know just how loud the signal is. That’s why, when used in a DAW, a VU meter needs to be calibrated to a digital reference level. If you know, for example, that -18 dBFS (the level of the signal you’re sending from a channel or mix buss) is displayed as 0 dB VU on the meter, then you have 18 dB of headroom. This is how much room you have to play with. -18 dBFS is in fact the reference level recommended by most professional audio engineers. Set it much lower, and the signals around 0 VU will lack punch and definition; set it much higher and those same signals may well distort. The Waves VU Meter allows you to specify the desired headroom (from 4 dB to 26 dB) and offers the ability to delay activity so that meters on different busses will appear time-aligned even if those busses exhibit varying latencies. The bottom line is that VU meters allow you to measure what you care about rather than endless peaks, giving you a better understanding of the dynamics in your mix. This doesn’t mean that you can forgo full-scale metering. You still have to avoid clipping; for that you need peak meters (make sure the loudest transients in your track never exceed -8 to -10 dBFS). But try recording or mixing with a combination of both types of meters. You’ll almost certainly achieve improved results – no vitamin supplements required!